We're Spending Less Time On Facebook, And Mark Zuckerberg Says That's Great : The Two-Way Zuckerberg says if people spend less time on the site — but the time they spend is higher-quality and involves more interaction — it's good for his bottom line. It's also good for society, he says. 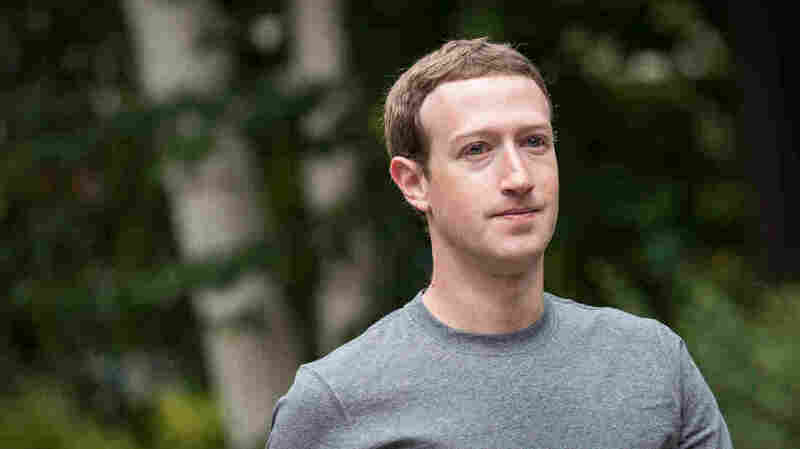 Mark Zuckerberg, CEO and founder of Facebook Inc., attends a conference in Idaho in July 2017. Zuckerberg has announced — and celebrated — a drop in the amount of time users are spending on Facebook. Facebook CEO Mark Zuckerberg says recent changes to the site have reduced the amount of time users spend there — a development he says he expected, and one he welcomes as good for both his business and the health of society at large. In a Facebook post on Wednesday, Zuckerberg says the social media company is working to encourage "meaningful connections between people rather than passive consumption of content." That 5 percent decline in usage works out to roughly 50 million hours per day that people are not spending on Facebook, Zuckerberg says. Facebook also released its financial results for the year, which showed a nearly 50 percent year-over-year growth in advertising revenue. The usage data for 2017 does not reflect changes to Facebook's overall News Feed, announced last month, that will deemphasize business and news posts and prioritize content from friends and family. A few weeks ago, Zuckerberg said he expected those changes will lead to people spending less time on Facebook, which would be a reduction on top of the decline that happened in 2017. Zuckerberg described the logic behind the shift in content in both benevolent and business-minded terms. First, he emphasized — at length — the value of relationships and personal connections. "Research shows that strengthening our relationships improves our well-being. When we use social media to connect with people, that correlates with long term measures of well-being you'd expect, like happiness and health," he wrote. "But passively watching videos or reading articles may not have those same effects. ... Let me be clear: helping people connect is more important than maximizing the time they spend on Facebook." But there's money on the table, too, he says. "We already know that time in News Feed interacting with people is more profitable than time passively consuming video or news," he wrote. "When you care about something, you're willing to see ads to experience it. But if you just come across a viral video, then you're more likely to skip over it if you see an ad." More changes to Facebook are coming, to continue to emphasize interactions over consumption, the company has said.
" 'I think that the reduction of 50 million hours per day is spooking investors. That comes out to 2 minutes per day in lower engagement,' Wedbush Securities analyst Michael Pachter said. "Facebook, founded in a college dormitory in 2004, has become one of the world's most valuable corporations by selling internet ads that it puts in front of people on Facebook and on its Instagram unit. "Facebook shares were up 43 percent during the past year as of Tuesday's close. The S&P 500 Index rose 24 percent during the same period."